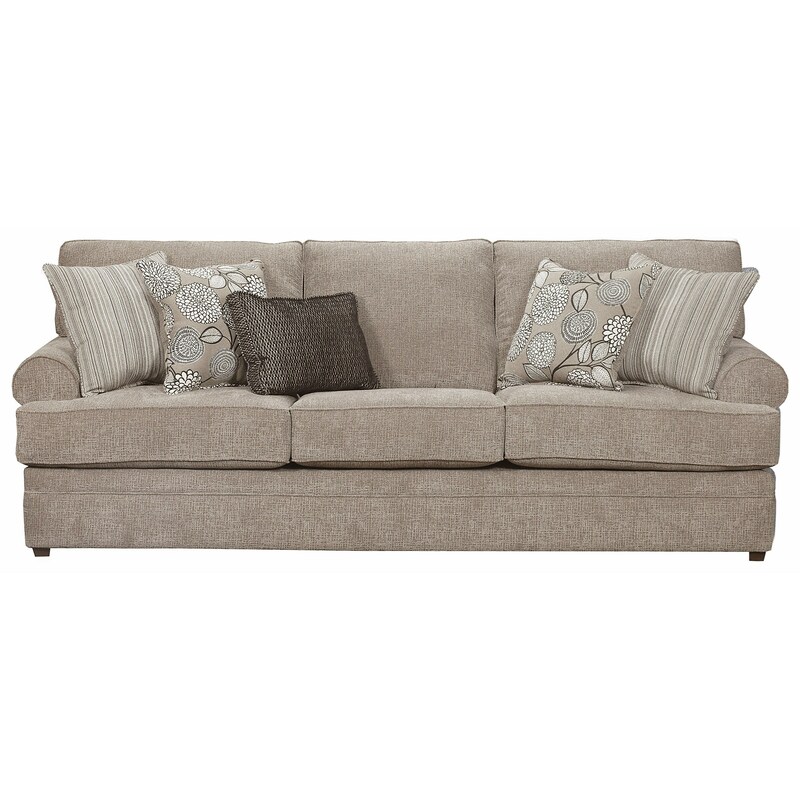 This beautiful sofa showcases elegant style and accommodating support. Highlighted by its rolled arms, the transitional piece features seat and back cushions that provide for extended comfort. A perfect centerpiece for your living space, this sofa adds sublime design to your modern home. The 8530 BR Transitional Sofa with Rolled Arms by United Furniture Industries at Miskelly Furniture in the Jackson, Pearl, Madison, Ridgeland, Flowood Mississippi area. Product availability may vary. Contact us for the most current availability on this product.